From the minute that I met Nick and Andrea, I knew that I would be in for a treat working for this couple! 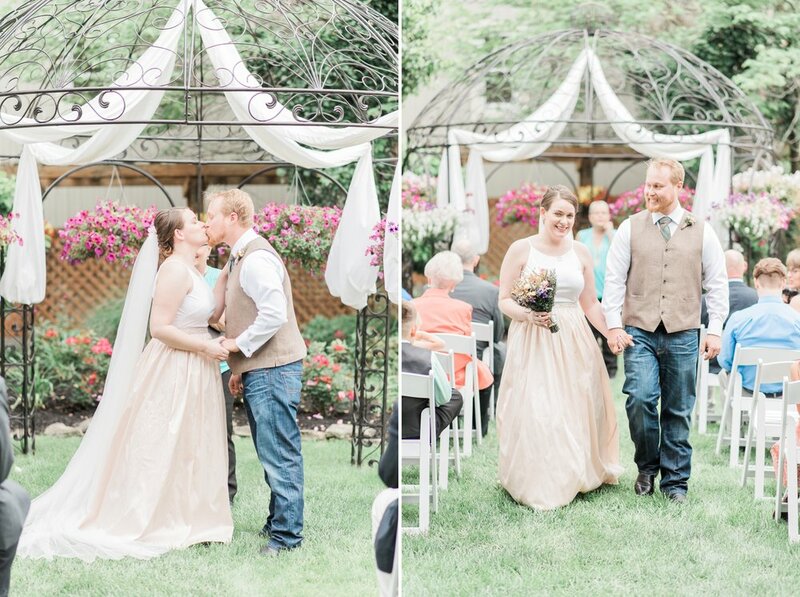 They planned a beautiful, intimate wedding surrounded by their close family at the Bendora Wedding Gallery in Worthington, OH. Nick and Andrea are such an incredibly sweet, laid-back, and generous couple, and everything about their day so perfectly fit who they are. 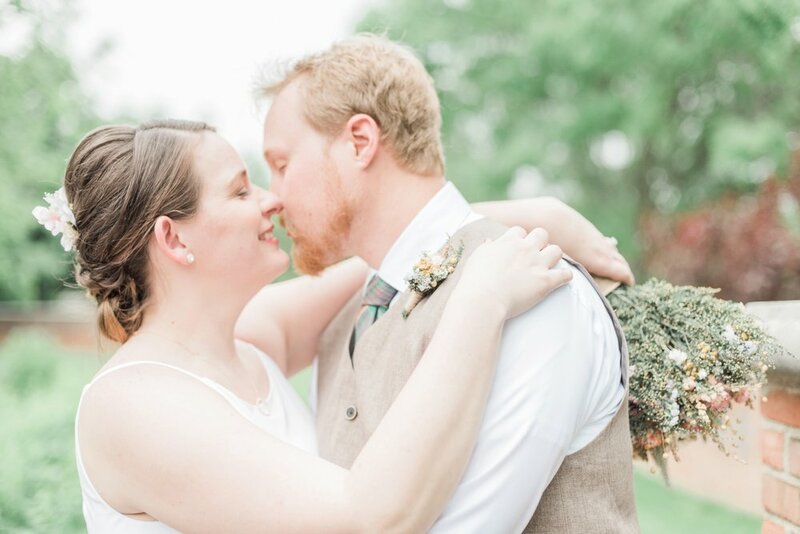 They got ready in the upstairs suites at Bendora, and Andrea wore a beautiful blush gown that had Nick's name tape from his service in the military stitched inside. Her bridal shoes were the cutest pair of Toms! Nick and Andrea had always wanted to get married outdoors surrounded by nature, so their ceremony was held in the lovely garden area at Bendora, with their family looking on. Afterward, we took some family pictures under the gazebo, and then I stole Nick and Andrea away for some "just married" pictures in the quaint areas of downtown Worthington. It's a wonderful feeling when clients become like friends, and I truly felt this way with Andrea and Nick, the way that they so warmly invited me to share in this special time in their lives -- from their engagement pictures we took at OSU, to their wedding day, to the fall reception that I was also honored to document for them -- it's so humbling to be a part of these once-in-a-lifetime moments, and I'm forever grateful that Andrea and Nick asked me to be a part of theirs!